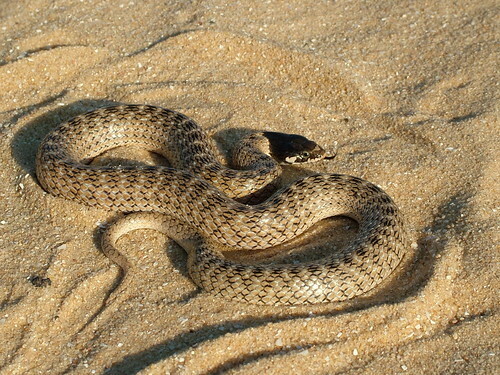 Montpellier Snake, Malpolon Monspessulanus, Culebra Bastarda. Q. Are there adders (Vipera Berus) snakes in Spain? A. My research says not, but the snake below is often mistaken for an adder, (adding to the myth that there are).